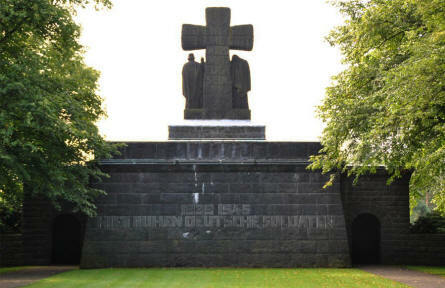 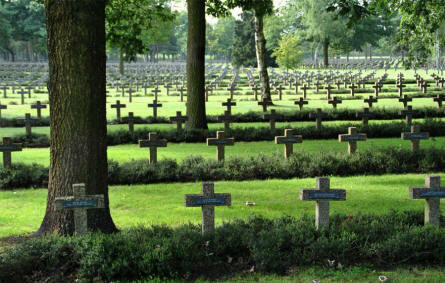 The Lommel German War Cemetery is located close to the Belgian/Dutch boarder (just south of Eindhoven - Holland). 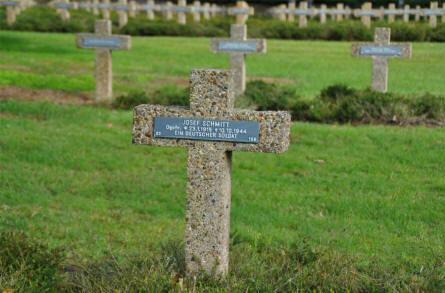 The cemetery is very large - covering an area of 16 ha (427x350 m). There are 542 graves from the World War I and 38,560 graves from the World War II. The graves from World War II were moved to Lommel from other cemeteries after World War II. 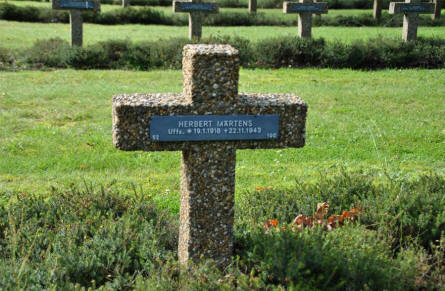 The World War II grave of a German soldier - killed in 1943 - at the Lommel German War Cemetery. 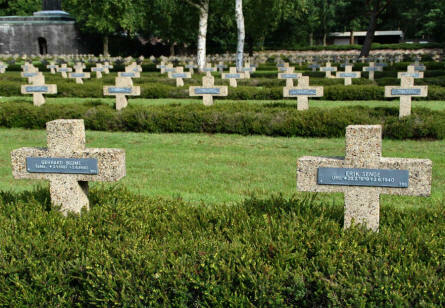 A section of the Lommel German War Cemetery. The memorial at the entrance to the Lommel German War Cemetery. 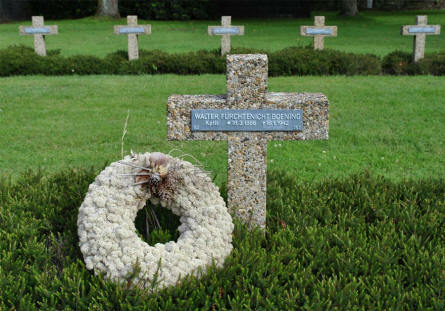 A World War II grave of a known and an unknown German soldier at the Lommel German War Cemetery. 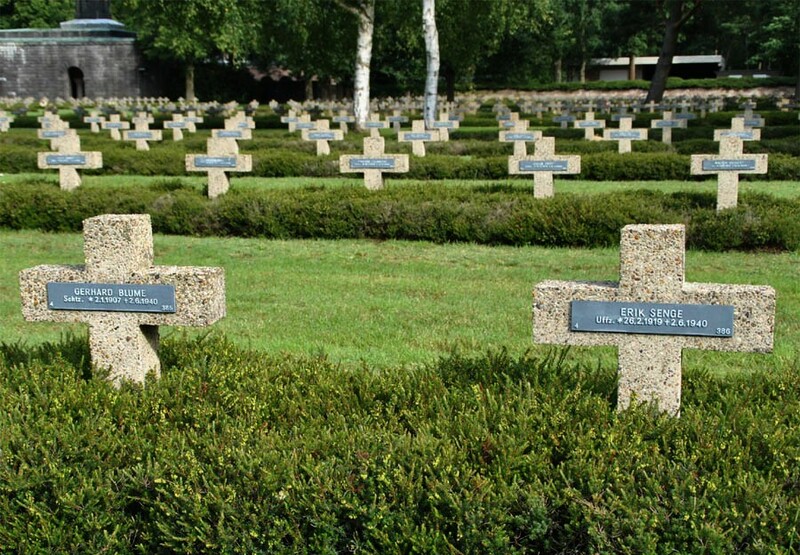 Some of the many graves at the Lommel German War Cemetery. 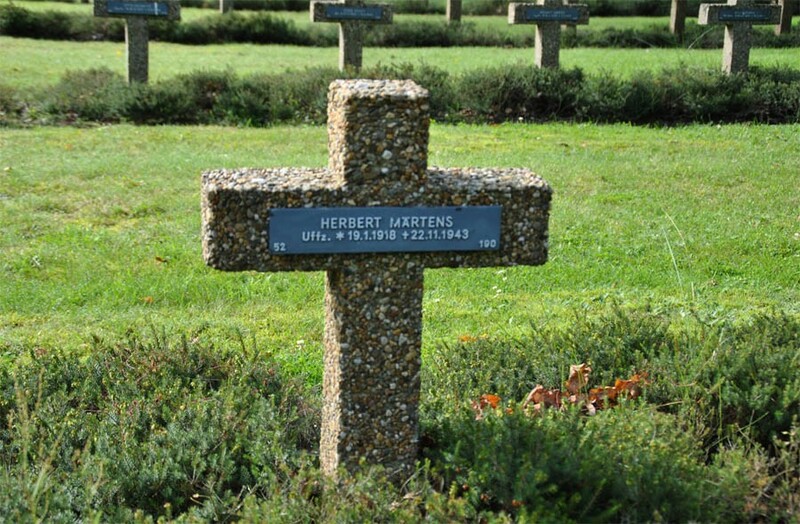 The World War II grave of a German soldier - killed in 1942 - at the Lommel German War Cemetery.